Fruit ranching was one of the first commercial endeavors to take hold in this area in the decades following settlement. It was a mere ten years after the first white settlers planted orchards in the North Fork River Valley that Paonia fruit won several top awards at the 1893 Chicago World’s Fair. With this new found fame it wasn’t long until fruit, along with coal, tempted the railroad to lay down a spur line passing through Hotchkiss and Paonia. Over the past several decades, and largely because of the demand for land for residential uses, a good many orchards have lost the economic battle for survival; and while there are still many producing orchards, there are fewer than there once were. This trend has been slowed over the past decade by the ingenuity of local orchardists and farmers. Local growers have found new crops and techniques which increase economic value. Two examples are the trend towards vineyards and wine production, and the trend towards organic farming. The climate is ideal for this type of agriculture, and local wineries have made serious inroads in the past few years with their high quality wines. Organic, natural and biodynamic farming have found receptive markets and the demand has encouraged a clear movement in that direction. While you are in the Valley, why not enjoy our fantastic fruits, vegetables, meats, wines and food products? The sweet taste of local produce will be a treat for your palate that you won’t soon forget. Please scroll through this partial list of farms and locations where you can enjoy and purchase local fruits, produce, wines, meats and various food products----whether organic, natural, biodynamic or conventionally grown. Contact the growers for more information. Be sure to call ahead to confirm availability. Melons, berries, heirloom tomatoes, sweet onions, veggies, chickens and eggs. 11 kinds of peaches, 12 kinds of apples, plums, apricots, cherries, raspberries, blackberries, grapes, honey & vegetables. Goat Dairy and Farm located outside Paonia. Products available in Paonia and Hotchkiss. Raw milk shares available from our Brown Swiss dairy cows. Butter, yogurt, vegetables, eggs and milk fed pork. Organically supplemented, non-GMO, custom mixed poultry, swine & goat feed. Chickens, eggs, dairy goats, & chicks for sale. Varieties of garlic, vegetables & fruit. Fresh produce, herbs and berries. Produce, meat, Big B's Fresh Apple Cider, wine. You Pick Fruit/Veggies. Grassfed Black Welsh Mountain sheep meat and wool products. Grassfed beef raised without added hormones or antibiotics. Certified weed-free hay grown without chemicals. Cherries, peaches, pears, plums, apples, berries, jams, fruit butters, applesauces, dried fruit & ciders. Sweet & sour cherries, apricots, peaches, pears, apples, nectarines, plums, fruit ciders and dried fruit. Vegetables, fruits, flowers, eggs, and honey. Natural food store featuring locally grown, organic produce and grocery items. Wine tasting room. Grassfed Buffalo & Elk. Meat available at the ranch, health food stores. 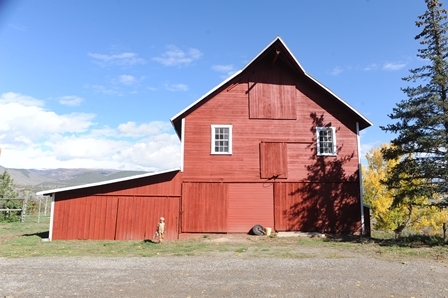 North Fork Valley meat producers cooperative. Locally grown beef, pork, chicken, and specialty products. Veggies, fruits, nuts, berries, herbs, pork, eggs, grains, beans, preserved foods, and honey. Fruits, vegetables, grapes & specialty products. Humus Compost and Compost Tea. Fruit, vegetables, & wheat. Bread, pear leather, & sauerkraut. U-pick vegetable garden and market. Biodynamic herbs, vegetables, fruit, flowers & drought tolerant perennials. 100% grassfed beef. Quarters, halves and whole beef for fall delivery. Lean ground beef available year-round. White peaches, cherries & peachcots. Vegetables, herbs, flowers, free-range chicken eggs. Produce, pork, lamb, chicken and eggs. Arizona citrus, local honey, PA maple syrup and other specialty products. Cherries, apricots, peaches, pears, plums, apples. Vegetables, eggs, herbs and flowers. 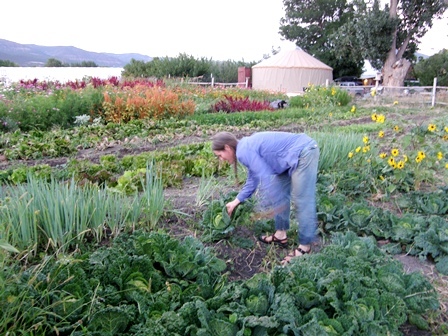 Year round mixed vegetables, seasonal berries and herbs, garlic braids and fresh dug winter roots. Fruits, vegetables, eggs, baked goods. We create unique “green” arrangements for events & weddings. Weekly deliveries to North Fork & Roaring Fork Valleys. Raw goat milk shares. Kefir, yogurts, cheeses. Farm fresh eggs, naturally raised meat poultry. Variety of heirloom vegetables in season. CSA. Dairy goats, grass-fed lambs, soy-free laying hens. Golden Delicious and Rome apples, red and yellow Bartlett pears. Salad greens, tomatoes, herbs, vegetables, eggs, pasture raised beef, pork, lamb, chicken, turkey, chicken & hog feed, hay, dairy sheep. CSA. Specialty fruits and vegetables. CSA. Pasture-fed, non-GMO chickens for direct sale. CSA. Apples, apricots, sweet & sour cherries, pears, peaches, nectarines, plums, tomatoes, squash, greens, herbs, eggs, peppers and more. Hay, chickens, turkeys, & beef all processed at the ranch. Heritage pork. Berkshires & Chester Whites. Whole or half hogs. Vegetable varieties selected for canning. Great locally produced food products are also available at Hardin’s Natural Foods, Old River Road Trading Post, Homestead Natural Meats and Delicious Orchards at their locations listed above. For more information on local organic farms and orchards http://www.vogaco.org has details. These links have local producers' information as well.